When you're the best, don't be shy about it. Exclusivity is important, especially now. 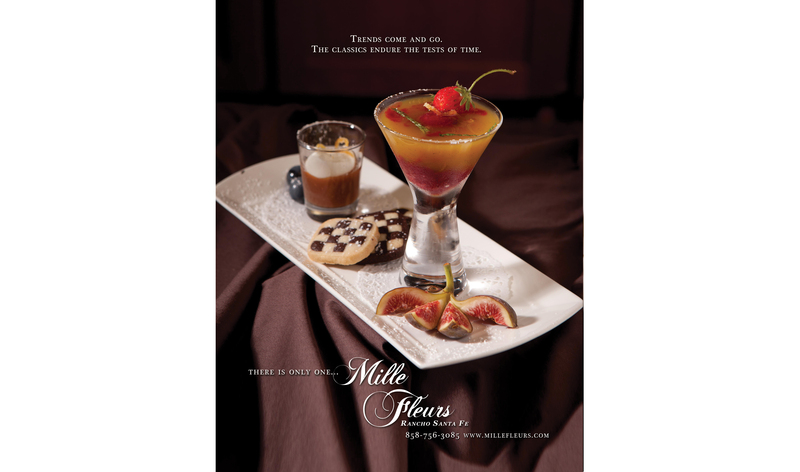 A unique dining experience is the cornerstone of any restaurant. 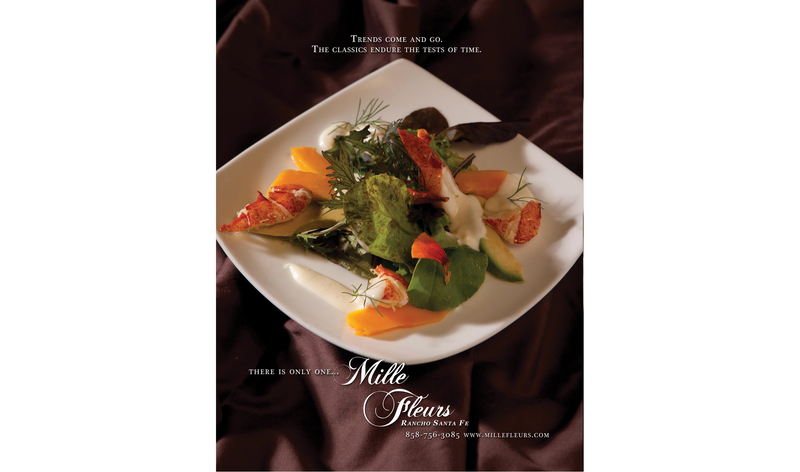 Mille Fleurs is a classic French restaurant. World-renowned. The destination of presidents, rock-stars and moguls of industry. All stuffed into an ancient, rambling connection of dining rooms in downtown Rancho Santa Fe. This restaurant sets the standard in culinary excellence. And it has been our honor to be their advertising agency for the past decade. 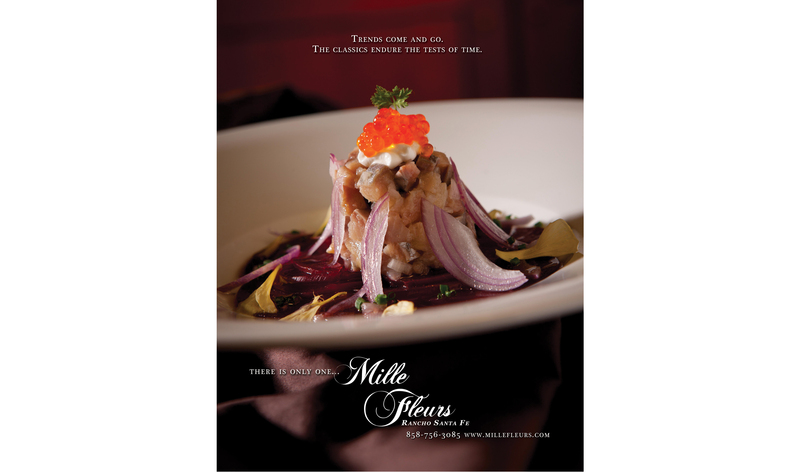 The idea says it all in our Restaurant Advertising Campaigns for Mille Fleurs. First, it positions this unique gem against other dining options that are much more commercialized, such as Ruth Chris. This restaurant has a heart and soul. Plus a bit of an attitude too. The tagline says it all.